HomesubfloorSub Floor Ventilation Is A Big Deal. Here’s Why. Sub Floor Ventilation Is A Big Deal. Here’s Why. Failing to install a proper sub floor ventilation system in your home may have more of an impact than you realise. The sub floor area is an important part of your home’s ecosystem. 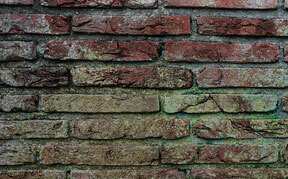 Allowing mould growth or excess moisture to build up under the house affects the air above ground too. This affects your home and your health. You don’t need to be an expert to realise that condensation and mould growth isn’t good for your house. It becomes even more obvious when you notice visibly sinking floors or rotten wood under the building. It’s worth investing in a quality ventilation system for the underfloor area because repairing the house’s foundations can be expensive and difficult. 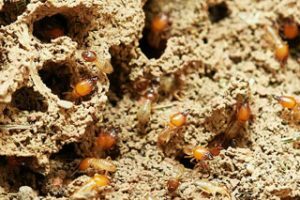 The tiny termite scares every home owner. Their potential to wreak havoc on timber frames is well known. So it’s important not to encourage them to make themselves at home under your home. Termites like to make nests in damp areas with good food sources. There’s nothing like damp timber under the house to attract them. Luckily, a good sub floor ventilation system can help. Drawing the moist air out from under the house keeps sub floor timber dry and less attractive to pests. Rising damp, mould, mildew and discolouration are all symptoms of poor sub floor ventilation. And they all look terrible. Excess moisture causes these kinds of problems, so before you install ventilation, make sure you’ve addressed the cause of the problem. Ventilation is important, but if the problem comes from a leaking pipe, fix that first, then think about air circulation. Nothing convinces people to fix a problem quite like a bad smell does. Unfortunately a lot of people don’t realise that they need to air out their under floor areas until they smell something. A musty smell coming from under the house could be caused by mould. Because mould thrives in damp environments, check for water build up. Make sure you cut the moisture off at the source before ventilating the area. It could also be caused by condensation from moisture in the soil, in which case you can start addressing the sub floor’s ventilation. Whether you have just discovered mould/moisture issues under your home or want to prevent them, we can help you. We stock a range of DIY kits designed to ventilate sub floor areas, as well as stand alone fans and accessories. This equipment can make a huge difference to the air under your house and the rest of your home. ← How Can I Tell If I Have Subfloor Mould problems?